That's What She's Reading: GUEST POST: Author Emily Winslow of LOOK FOR HER on Writers with Pets! 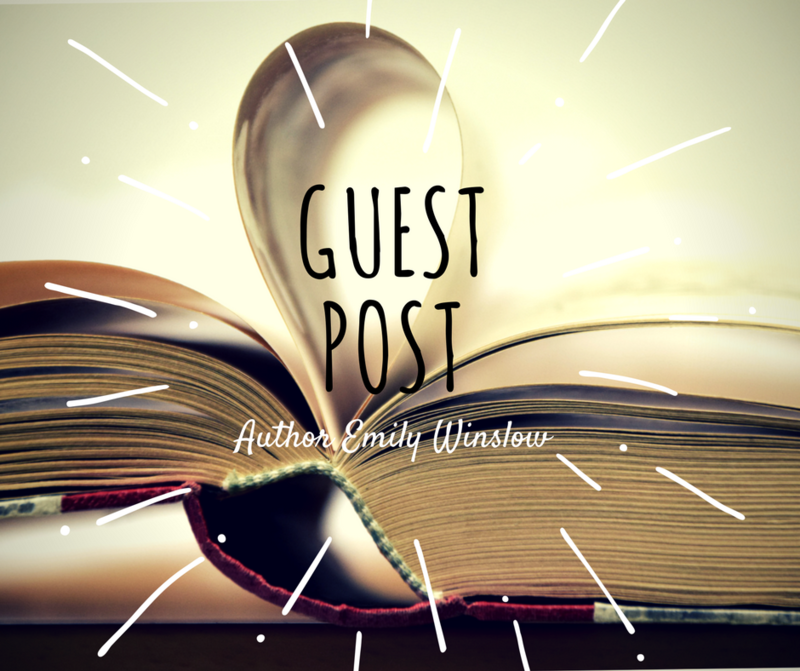 GUEST POST: Author Emily Winslow of LOOK FOR HER on Writers with Pets! Today I welcome author Emily Winslow in conjunction with the Partners in Crime online book tour for her latest novel LOOK FOR HER. She has graciously provided a guest post discussing writers and their pets! Pets are a special solace to those who work at home. They are also expert at getting in the way. It was great day when our old cat and our new kitten finally, after months, got along well enough to sit together. Unfortunately, they chose my lap to sit on. I didn't want to disturb their harmony, but where was my laptop supposed to go?? Now we are sadly down to just the one cat, but she is now big enough to do the getting-in-the-way of two. We have an uneasy truce: she can sit on the arm of my chair or my lower legs, while the laptop gets the lap to itself. Only one pet has ever come up as a character in my crime novels: a retired cadaver dog entangled in the mysteries of The Red House. Perhaps the reason my cat keeps fighting for my attention is because she'd like to be in my next book! Snowman (Snowy, for short), my parents’ Parsons Russell, often came to stay with us for his holidays. Unlike our own two dogs, who sleep under my desk while I’m working, Snowy preferred a more paws-on approach. I spent so much time looking at the back of Snowy's head that his ears—one brown, one white with black spots—found their way into the Adventure Island books, firmly attached to the character Emily’s trusty dog, Drift. All our Scottish terriers have enjoyed being involved in the creation of new books. Because work space is sometimes limited in our cottage, I sit on the floor to lay out manuscripts and mark them up, sometimes with a thesaurus too, as you see words differently when they’re printed off. Isla (pictured) has long been fascinated by the thesaurus. But it was my early twentieth-century Baedeker guide to Germany, glued together using animal-based adhesives, that was lovingly torn apart by Bridie, a now-deceased Scottie, so she could lick the horse glue off the spine. Our cat, Sushi, has a free pass for life for being care free (except demanding endless head-scratches while I write, which does make it tricky typing, not to mention plenty of fur on the keyboard). Albert the bunny, well, the one thing going for him is that he’s quiet, which sort of makes him out of sight, out of mind. Our Labrador Sassy, who passed away last year, was mostly calm and cooperative except when nudged into naughtiness by our Australian cattle dog dingo-esque mutt Bridget, who we lost two years ago and almost until the end had a wild streak that knew few bounds. But none of our pets has been quite as masterful at that as has Graycie, our African Grey parrot that was a gift to us in 1990 and has now, to all of our surprise, been with us for 27 years—some of them longer than others. Graycie will not ever allow me to just sit down at my desk—not particularly strategically located in our open floor plan kitchen/living room/dining room, where she, too, resides—without her demanding that she be freed from her cage to perch atop a large “tree” perch. She will either drag her beak across the metal bars of the cage like an ornery prisoner thrown in the drunk tank on an episode of Gunsmoke, or pluck the bars with her beak incessantly, like some audio form of Chinese water torture until she gets her wish. But granting that wish can take precious time, because she doesn’t just walk from cage to branch. No. She wants bribes, in the form of peanuts, and for me it is a test of wills to see who wins. Long ago our vet warned us to use peanuts sparingly, and that they’re bad for the bird’s health and can clog arteries. So I try to lure her with veggies, but what self-respecting bird with the cognition of a 3-year old would settle for health food when she can wield her powers of annoyance to win the junk food prize? Instead what she ends up doing is climbing down the cage, onto the floor, click-clacking her little black clawed-feet across the hardwoods, walking backwards while looking over her shoulder, as if some cloak-and-dagger spy, ensuring she won’t be caught. Her goal? To get to the cabinet where the peanuts are stored. If she won’t get them from me, then dammit she’ll just have to help herself. I may have mentioned, parrot beaks are destructive. I have the scars to prove it. And they can do a number on hardwood cabinets, shoe-molding electrical cords, you name it. So while I doggedly refuse to accede to the demands of a petulant parrot, cutting my nose to spite my face since this interaction is cutting into my writing schedule, she has time on her hands and nothing better to do. My family all shrug and shake their head at me, wondering why I engage with a veritable 27-year old toddler on such a regular basis, particularly when I have deadlines constantly looming with my editor often drumming her fingers awaiting my latest submission. And I can’t even find a legitimate excuse for my own obstinacy, except that I refuse to be outwitted by a bird-brained, well, bird. I suspect the darker truth is its all part of my own inherent procrastination tactics, and she’s become a conspirator in my own efforts to sabotage my writing progress. Sometimes I just need to remind myself it’s best to ride the horse in the direction it’s galloping, and then maybe I’ll actually produce some copy! When DNA linked to the Annalise murder unexpectedly surfaces, cold case investigator Morris Keene realizes he may now have the chance of his career. Morris and his former partner, Chloe Frohmann, hope to finally solve this perplexing mystery, and bring closure to a traumatized community. But the new evidence that should be the simple solution instead undoes the case's only certainty: the buried body that had long ago been confidently identified as Annalise may be someone else entirely, and instead of answers, the investigators face only new puzzles. Whose body was unearthed all those years ago, and what happened to the real Annalise? Could she have had a secret child? Is someone interfering with the investigation? And is there a link to a present-day drowning with eerie connections? 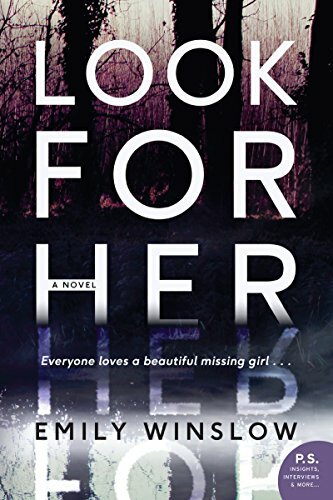 You can also check out my REVIEW of Look For Her HERE! 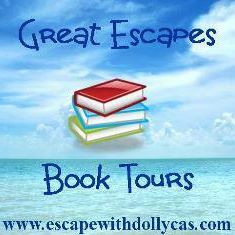 This is a rafflecopter giveaway hosted by Partners in Crime Virtual Book Tours for Emily Winslow and William Morrow. There will be 1 winner of one (1) physical copy of each of the 1st three books in the Keene and Frohmann Series: The Whole World, The Start of Everything, and The Red House AND there will be 5 Winners of one (1) physical copy of their choice of ONE of the 1st three books in the Keene and Frohmann Series: The Whole World, The Start of Everything, and The Red House. The giveaway begins on February 12 and runs through March 18, 2018. This giveaway is open to US & Canada residents only. Many thanks to Partners in Crime Tours and Emily Winslow for this great opportunity! It was an absolute pleasure hosting. 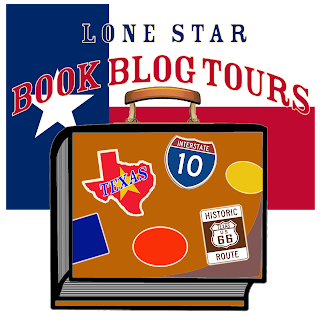 And be sure to visit the other stops on the tour for more opinions and author extras! This was such a great post. As an animal lover, I know how pets are a member of families.